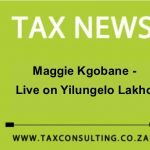 The 2016/17 tax season is here and this is an important year of tax filing for expatriate employees, especially South Africans working temporarily abroad. We are all well aware of the tax change on the cards and this tax submission must be done bearing future tax strategy in mind. As an expatriate, there are a few tax concepts to keep in mind, most importantly that you need to declare world-wide income. We have seen so many expatriates or their tax practitioners simply submitting a zero tax return and this is incorrect. This can only be done where you are a non-resident for tax purposes and have no South African source income. Where you do file correctly, i.e. declaring your world-wide income, there is obviously the section 10(1)(o)(ii) exempts foreign income exemption, which is the section which will be changed this year. Many expatriates have decided to assume a status as a non-resident to pre-empt the impact of this tax law change. Some have even proceeded to obtaining tax residency certificates in foreign jurisdictions. Whilst a residency certificate is by no means conclusive of the tax status, this no doubt assists in discharging the burden of proof. 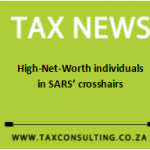 SARS seem to have caught onto this trend and have now introduced new sections in the tax return to specifically make sure that these expatriates correctly declare their tax position. By making incorrectly a non-residency declaration, there is an automatic trigger of various tax and exchange control provisions, and expatriates must please be cautious to only make an informed decision hereon. There should be no willy-nilly assumption of non-residency and no “quick ticking” of any boxes. Otherwise, we have seen an increased audit on expatriate employees, but at this stage we are unsure if this is simply part of the higher SARS 12% audit target per year, or whether there is a specific focus on expatriate tax compliance.